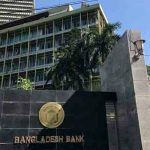 Dhaka, Bangladesh (BBN) – The board of directors of 11 more listed companies, including three banks have recommended dividend for the year ended on December 31 in 2017. 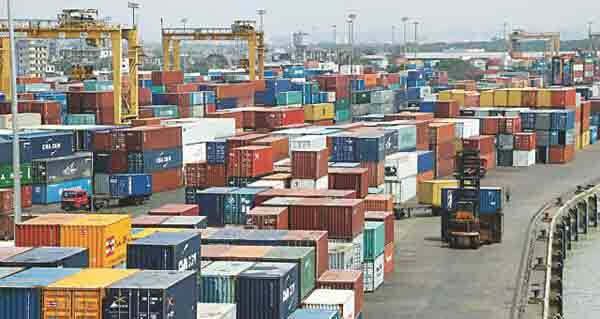 The listed companies are: Exim Bank Ltd, Islami Bank Bangladesh Ltd, Shahjalal Islami Bank Limited, Federal Insurance Company, Bangladesh General Insurance Company (BGIC), Phoenix Finance & Investment, Paramount Insurance Company, Pioneer Insurance, Eastern Insurance, Rupali Life Insurance and Union Capital. EXIM BANK: The board of directors of Exim Bank Limited of Bangladesh has recommended 12.50 percent cash dividend for the year ended on December 31 in 2017. The final approval of the dividend will come during the annual general meeting (AGM) scheduled to be held on June 27. The bank has also reported consolidated earnings per share (EPS) of BDT 2.34, consolidated net asset value (NAV) per share of BDT 19.58 and consolidated net operating cash flow per share (NOCFPS) of BDT 4.02 for the year ended on December 31, 2017 as against BDT 2.15, BDT 18.74 and minus BDT 3.42 respectively for the same period of the previous year. 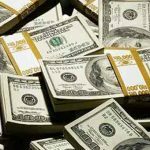 In 2016, the bank disbursed 15 percent cash dividend. Each share of the bank, which was listed on the Dhaka bourse in 2004, closed at BDT 14.50 on Wednesday at the Dhaka Stock Exchange (DSE). 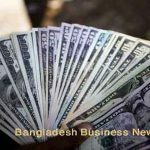 ISLAMI BANK: The board of directors of Islami Bank Bangladesh Limited (IBBL)has recommended 10 percent cash dividend for the year ended on December 31 in 2017. The AGM will be held on June 25 at Kurmitola Golf Club (KGC), Dhaka Cantonment in Dhaka. The record date for entitlement of dividend is May 21. The bank has also reported consolidated EPS of BDT 3.06, consolidated NAV per share of BDT 31.47 and consolidated NOCFPS of BDT 1.14 for the year ended on December 31, 2017 as against BDT 2.78, BDT 29.38 (restated) and minus Tk 6.81 respectively for the same period of the previous year. In 2016, the bank also disbursed 10 percent cash dividend. Each share of the bank, which was listed on the Dhaka bourse in 1985, closed at BDT 26.30 on Wednesday at the Dhaka Stock Exchange (DSE). SHAHJALAL BANK: The board of directors of Shahjalal Islami Bank Limited has recommended 10 percent stock dividend for the year ended on December 31 in 2017. The AGM will be held on July 8 and the record date is on May 31. The banks has also reported Consolidated EPS of BDT 1.74, Consolidated NAV per share of BDT 17.65 and Consolidated NOCFPS of BDT 2.75 for the year ended on December 31, 2017 as against BDT 2.15, BDT 16.86 and BDT 5.12 respectively for the same period of the previous year. In 2016, the bank also disbursed 10 percent cash and 5.0 percent stock dividend. 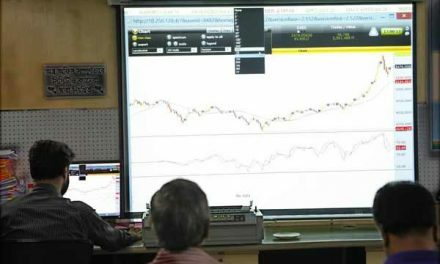 Each share of the bank, which was listed on the Dhaka bourse in 2007, closed at BDT 27.10 on Wednesday at the Dhaka Stock Exchange (DSE). FEDERAL INSURANCE: The board of directors of Federal Insurance Company has recommended 5.0 percent stock dividend for the year ended on December 31 in 2017, said an official disclosure on Thursday. The company has also reported earnings per share (EPS) of Tk 0.58, net asset value (NAV) per share of Tk 11.50 and net operating cash flow per share (NOCFPS) of minus Tk 1.90 for the year ended on December 31, 2017 as against Tk. 0.54, Tk. 11.47 and Tk. 0.48 respectively for the same period of the previous year. In 2016, the company also disbursed 5.0 per cent stock dividend. Each share of the company, which was listed on the Dhaka bourse in 1995, closed at Tk 10 on Wednesday at the Dhaka Stock Exchange (DSE). 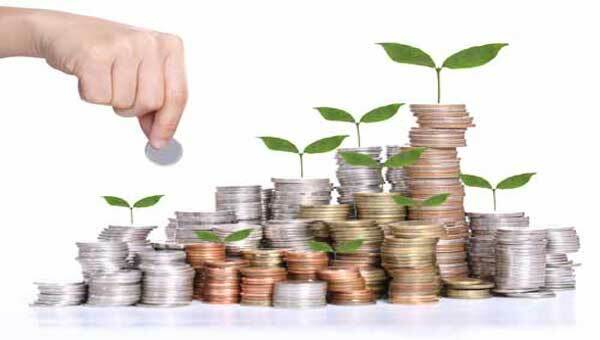 BGIC: The board of directors of Bangladesh General Insurance Company (BGIC) has recommended 10 percent cash dividend for the year ended on December 31 in 2017. The final approval of the dividend will come during the annual general meeting (AGM) scheduled to be held on June 25 in Dhaka. The company has also reported earnings per share (EPS) of Tk 1.10, net asset value (NAV) per share of Tk 19.76 and net operating cash flow per share (NOCFPS) of Tk 0.69 for the year ended on December 31, 2017 as against Tk. 0.97, Tk. 19.48 and Tk. 1.29 respectively for the same period of the previous year. In 2016, the company also disbursed 11 per cent cash dividend. Each share of the company, which was listed on the Dhaka bourse in 1989, closed at Tk 19.80 on Wednesday at the Dhaka Stock Exchange (DSE). PHOENIX FINANCE: The board of directors of Phoenix Finance & Investment has recommended 20 percent cash dividend for the year ended on December 31, 2017. The final approval of the dividend will come during the annual general meeting (AGM) scheduled to be held on June 28 in Dhaka. The record date for entitlement of dividend is May 24. The company has also reported earnings per share (EPS) of Tk 2.35, net asset value (NAV) per share of Tk 21.41 and net operating cash flow per share (NOCFPS) of Tk 5.34 for the year ended on December 31, 2017 as against Tk. 2.33, Tk. 21.08 and Tk. 3.46 respectively for the same period of the previous year. In 2016, the company also disbursed 20 per cent cash dividend. Each share of the company, which was listed on the Dhaka bourse in 2007, closed at Tk 32 on Wednesday at the Dhaka Stock Exchange (DSE). PARAMOUNT INS: The board of directors of Paramount Insurance Company has recommended 10 per cent stock dividend for the year ended on December 31, 2017. The final approval of the dividend will come during the annual general meeting (AGM) scheduled to be held on June 9 in Dhaka. The insurer has also reported earnings per share (EPS) of Tk 1.43, net asset value (NAV) per share of Tk 14.28 and net operating cash flow per share (NOCFPS) of Tk 1.08 for the year ended on December 31, 2017 as against Tk. 0.99, Tk. 13.04 and Tk. 2.65 respectively for the same period of the previous year. In 2016, the company disbursed 2.0 per cent cash and 8.0 per cent stock dividend. Each share of the company, which was listed on the Dhaka bourse in 2007, closed at Tk 15.40 on Wednesday at the Dhaka Stock Exchange (DSE). PIONEER INSURANCE: The board of directors of Pioneer Insurance has recommended 15 percent cash dividend for the year ended on December 31, 2017. The final approval of the dividend will come during the annual general meeting (AGM) scheduled to be held on June 27 in Dhaka. The company has also reported EPS (after tax) of Tk. 3.43, NAV per share of Tk. 41.71 and NOCFPS of Tk. 2.94 for the year ended on December 31, 2017 as against Tk. 2.55, Tk. 31.60 and Tk. 0.70 respectively for the same period of the previous year. EASTERN INSURANCE: The board of directors of Eastern Insurance has recommended 20 percent cash dividend for the year ended on December 31, 2017. The AGM will be held on July 25 and record date is on May 29. The Company has also reported EPS of Tk. 3.47, NAV per share of Tk. 40.76 and NOCFPS of Tk. 3.10 for the year ended on December 31, 2017 as against Tk. 3.33, Tk. 39.25 and Tk. 3.42 respectively for the same period of the previous year. RUPALI INSURANCE: The board of directors of Rupali Life Insurance has recommended 5.0 percent cash dividend and 5.0 percent stock dividend for the year ended on December 31, 2017. The final approval of the dividend will come during the annual general meeting (AGM) scheduled to be held on July 4 in Dhaka. The company has also reported EPS of Tk. 2.01, NAV per share of Tk. 22.20 and NOCFPS of Tk. 1.73 for the year ended on December 31, 2017 as against Tk. 1.75 (restated), Tk. 22.64 and Tk. 1.54 (restated) respectively for the same period of the previous year. UNION CAPITAL: The board of directors of Union Capital has recommended 5.0 percent stock dividend for the year ended on December 31, 2017. The AGM will be held on June 28 and record date is on May 28. The company has also reported Consolidated EPS of Tk. 0.99, Consolidated NAV per Share of Tk. 14.61 and Consolidated NOCFPS of Tk. 4.38 for the year ended on December 31, 2017 as against Tk. 1.31 (restated), Tk. 13.63 (restated) and Tk. 1.98 (restated) respectively for the same period of the previous year.